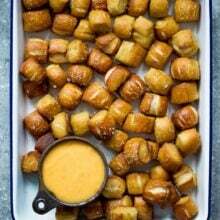 One of the most popular recipes on our site are our Homemade Soft Pretzel Bites. Josh made a batch the other day, but decided to kick them up a notch. He stuffed the soft pretzel bites with pepperoni and mozzarella cheese to make Pizza Pretzel Bites. Josh’s favorite food is pizza, he could eat it every day and never get tired of it. Since I like to eat a variety of foods we don’t have pizza as often as he would like. He was very excited to create a fun pizza snack by making pizza pretzel bites. Pepperoni is his favorite pizza topping so he stuffed each bite with pepperoni pieces and shredded mozzarella cheese. The bites will puff up in the oven and form a golden brown pretzel “pizza crust.” Each bite is buttery, salty, and filled with spicy pepperoni and melted cheese. 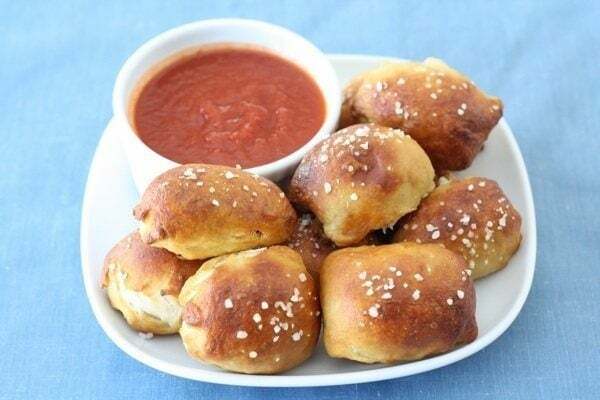 Serve the pizza pretzel bites with warm pizza sauce. These bites are perfect for dunking and make a great snack or party appetizer. If you love pizza and pretzels, you have to try our Pizza Pretzel Bites. They are fun to make and eat. 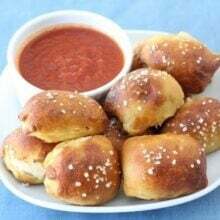 These pizza stuffed pretzel bites are the perfect game day snack! 1. Combine the water, sugar, yeast, and butter in the bowl of a stand mixer and mix with the dough hook until combined. Let sit for 5 minutes. 2. Add the salt and flour and mix on low speed until combined. Increase the speed to medium and continue kneading until the dough is smooth and begins to pull away from the side of the bowl, about 3 to 4 minutes. If the dough appears too wet, add additional flour, 1 tablespoon at a time. Remove the dough from the bowl, place on a flat surface and knead into a ball with your hands. 3. Oil a bowl with canola oil, add the dough and turn to coat with the oil. Cover with a clean towel or plastic wrap and place in a warm spot until the dough doubles in size, about 1 hour. 4. Preheat the oven to 425 degrees F. Bring the water to a boil in a large pot over high heat and carefully add the baking soda. 5. Remove the dough from the bowl and place on a flat surface. Divide the dough into 8 equal pieces, about 4 1/4 to 4 1/2 ounces each. Roll each piece into a long rope measuring 22 inches and shape. Cut the dough into one inch pieces to make the pretzel bites. Roll each bite flat with a rolling pin. Stuff each bite with pepperoni and cheese. Fold over the dough and pinch the ends. Set bites on a baking sheet and continue until all pretzel bites are stuffed. 6. Boil the pretzel bites in the water solution in batches. We did about 15 bites at a time. Boil for about 30 seconds. Remove with a large slotted spoon. 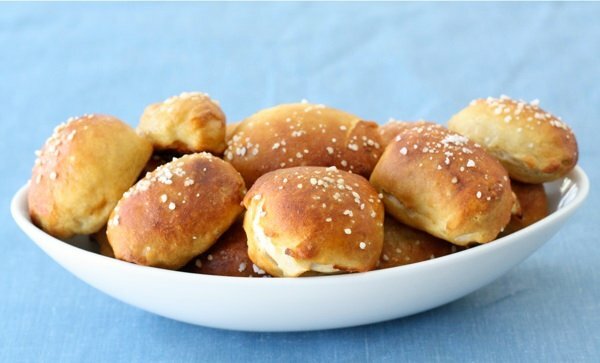 Place pretzel bites on a baking sheet that has been lined with parchment paper or a Silpat. Make sure they are not touching. Brush the tops with the egg wash and season liberally with the salt. Place into the oven and bake for 15 to 18 minutes, or until golden brown. 7. Remove from oven and let cool for five minutes. Serve warm with pizza sauce. Oh MAN do those look good! And they’re cute 😀 Fun snack, for sure. What a great idea! Perfect for a party!!! Or just having friends over. Oh my gosh these would be a HUGE hit in our house! best idea ever! i love making homemade pretzel bites AND pizza bites…but never thought to combine the two! Pretzel Bites are my favorite treat 🙂 These look amazing! He certainly did kick them up a notch!!!!! Great idea! Soft pretzels are my favorite!! These sound so awesome. I love soft pretzels as is, but you just stepped them up a notch. These would vanish in no time if I made them! Thanks for sharing this! The kids will love it as a snack. These sound delightful! I’ll have to try them this weekend. This is the perfect afternoon snack! Looks good, Maria! You’re making me hungry! Two of my favorite things, all in one!! 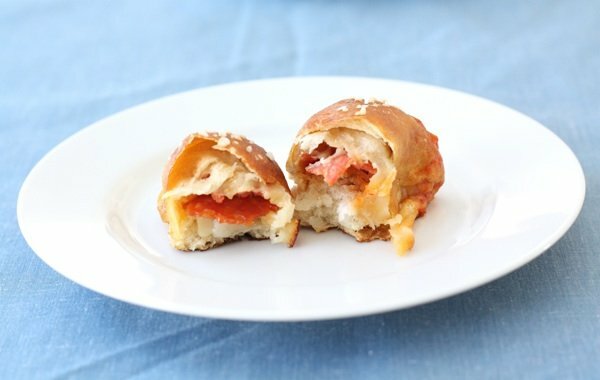 Your pretzel bites and now these pizza bites are on my list of things to try! These Look great! Would be perfect for an at home tailgate! Im making these right now. I hope they turn out okay. Seems like alot of work I wish the recipe was smaller but Im sure i’ll have a ton to freeze! They’ll make a good lunch for my 2 yr old. 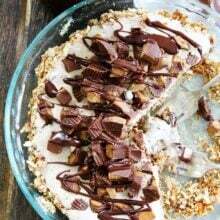 Yum, LOVE this idea Maria! awesome! Must be something with the name josh…as My Mister has the same name…and the same pizza addiction! 🙂 Thankfully I’ve gotten him hooked on homemade artisan pizza…but I know already that he’ll love these! Yum! Pretzels are my all-time favorite food. 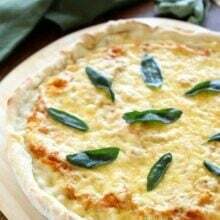 Actually, I’ve been wanting to try to make a pizza with a soft pretzel crust for awhile now! DEFINITELY need to make these!! Tasty idea Josh and Maria! Pizza in any form is a winner for me! Yummy! It’s a like a much healthier version of the frozen pizza roll! These are so fun! Wonderful recipe, Maria. Oh yum, these little pizza bites look so good!! oh my goodness…these look amazing. 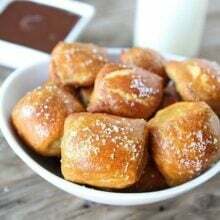 as you know, I recently made your soft pretzel bites and it looks like I”ll be making these as well! If I ever made those, my husband would never let me make anything else. How clever and delicious are these little bites! Nicely done. Probably not really approved for my diet (lol!) but boy do they look good! What a perfect combination! Like a mini calzone in pretzel form. I love pretzels and I love pizza…these look great! These remind me of hot pockets but way way way better. Squared. Oh my goodness these look amazing! I wish I didn’t have to wait for yeast to rise otherwise these would be in my oven asap. Love these and I am sure my kiddos will too! This would be the perfect snack for those teenage boys of mine! Way to go Josh! These look great! Way better than any freezer section appetizer. Fab post! Ohhhh! These remind me of a college favorite of mine. Pepperoni Rolls by Double Daves. Any Aggie (Texas A&M ;)) would know exactly what I’m talking about. Thanks for the memories! Now I need to make these! oh my gosh, maria, i seriously did not think you could top your last pretzel bite recipe. but you have. i would eat the whole bowl of these; with or without the pizza center! why would anyone buy pizza pockets when you can have a plateful of these? they look delicious! Oh my goodness….those would be the BIGGEST hit at our house! Thanks! These would be great to keep in the freezer. When would be the best time to freeze them, baked or unbaked? I haven’t tried freezing them, but I would stuff them and pinch the bites and lay them flat on a tray and freeze them. After they are frozen, place in a ziplock freezer bag. Boil and bake when you are ready! Wow…these look amazing! My family will love these! These look like the perfect mid-day snack! These look like a wonderful snack! My kids would enjoy these, especially my pizza-loving daughter. Very creative recipe. oh wow, I thought your other ones were fabulous, I bet these top them! Absolutely, 100% LOVE these! Can’t wait to make them! These look absolutely amazing! My kids (and husband…and me) would looooove these! Such a cute idea, Maria. You’re such a nice wife. I wondered the same thing as Kristie on the number of bites vs. the 22-inch ropes…? I ended up dividing the dough into 8 pieces, as directed, then rolled into ropes for easier cutting, and cut each rope into 9 even bits of dough. That made exactly 6 dozen bites as the end of the recipe states. I made these last week and my son and I loved them! I made small bites out of the first ball of dough – and quickly got bored (this was after a full day at work and a last minute dinner decision). Since I was making them for dinner I split the last 7 balls into four pieces each, filled, boiled and baked as the recipe states. Wonderful! The recipe as written would, as my son said, be a great Super Bowl party appetizer. Thank you for the recipe! Tried these for a work pot luck and they were great! Everyone ate them up! My husband has requested we make them again for New Year’s Eve! (He really hoped there were some left and there wasn’t a thing left!) Thanks so much! This will be perfect for a party! Can you freeze this recipe? I haven’t tried freezing them, but I am sure they would be fine. Enjoy! Just made these, surprised myself how good they came out. Your recipe and directions made it so easy to follow. I made 3 different kinds using the same recipe. Will definitely make these again. I have a big snow tubing party this weekend, now if I can just keep them till then without eating them all up. Keep up the good work guys. Can these be prepped a day ahead and refrigerated? I just wanted to let you know, I made these basically exactly the same as the recipe and they turned out marvelously. Also I decided to shred the pepperoni with the same cheese grater and it makes it easier to pack and tastes great.